This Allstate Health Insurance Company review looks at Allstate Financial Group, a healthcare and benefits operating group of the Northbrook, Illinois-based Allstate Corporation. Allstate is the largest publicly traded multi-personal lines insurance company in the United States and is a Fortune 100 blue chip company. Allstate boasts about $131 billion in assets, and sells a variety of life, business, property & casualty (home and auto), and other insurance lines. Type in your home zip code and save money on your health insurance rates now! The company also provides banking services as well as investment and retirement planning programs. Allstate went public in 1933, during the Great Depression. Allstate insures about 16 million families and individuals in the United States and employs more than 70,000 people across the country. Allstate’s workforce includes women: about 58% of the company’s employees are female. With more than 12,500 agency-owners throughout the country, Allstate Financial Group provides supplemental accident and health insurance along with life insurance, annuities, and retirement planning products and services. The company’s clients include institutional, individual, and workplace customers (via employer-sponsored benefits programs). 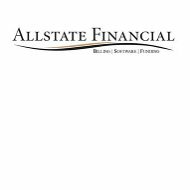 Allstate’s products and services are also distributed through independent insurance agents and brokers, broker-dealer companies and registered representatives, and banks and financial institutions. Allstate Financial Group has regional offices in Washington, D.C. area (Fairfax, Virginia); St. Petersburg, Florida; Buffalo Grove, Illinois; Rancho Cordova, California; Bridgewater, New Jersey; Hauppauge, New York; Atlanta, Georgia; Phoenix, Arizona; Irving, Texas; Englewood, Colorado; Wayne, Pennsylvania; Nashville, Tennessee; and Phoenix, Arizona. In fiscal year 2010, Allstate Corporation reported about $19 billion in property & casualty claims and claims expenses. During the period, Allstate Foundation donated approximately $18 million to community programs (including safe driving and domestic violence programs). To support local communities, Allstate owns approximately $16 billion in general obligation and agency municipal bond investments. Allstate Corporation is publicly traded on the New York Stock Exchange (Symbol: ALL). The company generated $31.4 billion in revenues in fiscal 2010, vs. $32.01 billion in 2009. Net income rose in 2010 to $1.71 vs. $1.58 in 2009 (an increase of 8.2%). Investors achieved 5.2% return on equity in 2010 vs. 5.8% in 2009, a negative difference of 0.6%. Shareholder equity increased to $19.016 billion in 2010 vs. $16.692 billion in 2009, or an increase of 13.9%. Book value increased 14.5% to $35.32 in 2010 vs. $30.84 in 2009. Standard & Poor’s rates Allstate Insurance “AA-” (“Very Strong”). Moody’s rates Allstate Insurance “Aa3” (“Excellent”). Allstate Financial serves customers throughout the United States and Canada, and is known as the “good hands” company to many middle-class and high net worth customers. Allstate is number two in personal lines insurance sales to top-ranked State Farm. In addition to health insurance and supplemental Medicare coverage, the company sells homeowner, auto, life insurance (Lincoln Benefit Life, Allstate Life, and American Heritage Life), and property & casualty insurance. In 2011, Allstate announced its plan to sell Allstate Bank (online banking services and deposit instruments) to Discover Financial Services. Allstate representatives will continue to sell Allstate Bank products and services, but transactions will be serviced through the Discover network. Allstate Financial is one of 13 operating Allstate units. Allstate’s property & casualty businesses combine to form a unit known as “Allstate Protection.” Compared to the Allstate Financial unit (health and supplemental, life insurance, and bank services), Allstate Protection accounts for almost 90% of all premium revenues! Private passenger car insurance and homeowner policies are the most popular products offered by Allstate Protection. Customers in Florida, Texas, California, New York, and Pennsylvania deliver 40% of premium income. Try our amazing online comparison tool now to save on health insurance rates. Get fast, free health insurance quotes by typing your zip code now!